Traveling, teaching, and bouncing from country to country and island to island every few months in Southeast Asia. No matter how nomadic or busy life can be, connecting with others over food is my favorite way to ground. This is my go-to recipe for small dinner gatherings with my partner, friends, or family for balancing a crazy schedule. 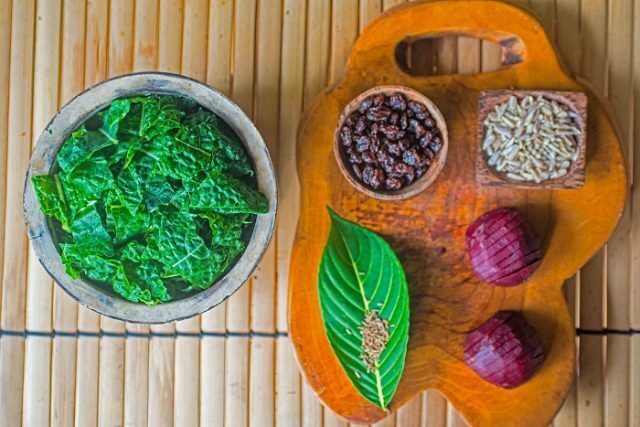 I first learned this Ayurvedic recipe during my Ayurveda educator training. It’s inspired by the Kanyakumari kitchen with my own tropical island twist. This recipe brings nourishment to the body and mind, and it’s simple to make whenever you’re craving a salad. Plus, even non-beet eaters love it and have even asked for the recipe. Nothing makes me happier than taking care of myself and my loved ones in the most delicious way with this wellness recipe. Warm Beet Salad with Miso Tahini Dressing. >> Step One. Cut beets in half lengthwise, and steam until tender. When cool, slice beets into half rounds. >> Step Two. In a medium pan, toast sunflower seeds and cumin seeds lightly at medium/low heat. Add coconut oil, chopped greens, and raisins. >> Step Three. Sauté greens until bright and tender, adding water if dry. 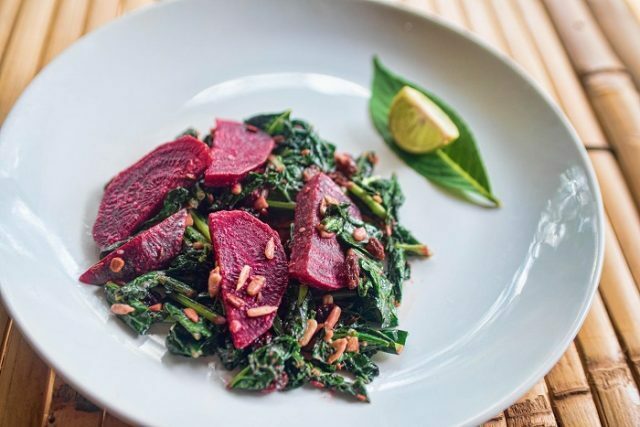 Remove greens from heat and mix with beets and toasted seeds. >> Step Four. Heat water or stock in a small pot. Meanwhile, mash miso and tahini together into a smooth paste. Then, gradually dilute the paste with warm water or stock to desired thickness. >> Step Five. Whisk in coconut oil and a squeeze of lime juice. >> Step Six. Serve half of the salad on each plate and drizzle with desired dressing amount. Season to taste with salt and pepper. Tip: For a full meal, you can add a whole grain such as basmati rice, quinoa, millet, or buckwheat. Enjoy feeding the people you love! Yum. Fresh beets from the garden sounds amazing! This sounds delicious! When the beets are ready in my garden, I'm going to try this recipe!!! It's a perfect summer salad, enjoy! Wow, great recipe! Can't wait to try it out. Kendra Charts is an international AcroYoga teacher known for her patience, authenticity, and for bringing out the best in people. She loves helping yogis and AcroYogis who aren’t the ideal size and shape overcome limitations, get stronger, and do things they never thought were possible. 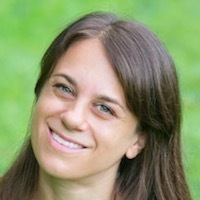 She is the co-founder of More Than Dreaming, providing free and effective Acro yoga tips and resources.